Operation Steel Tiger was a covert U.S. 2nd Air Division, later Seventh Air Force and U.S. Navy Task Force 77 aerial interdiction effort targeted against the infiltration of People's Army of Vietnam (PAVN) men and material moving south from the Democratic Republic of Vietnam (DRV or North Vietnam) through southeastern Laos to support their military effort in the Republic of Vietnam (RVN or South Vietnam) during the Vietnam Conflict. 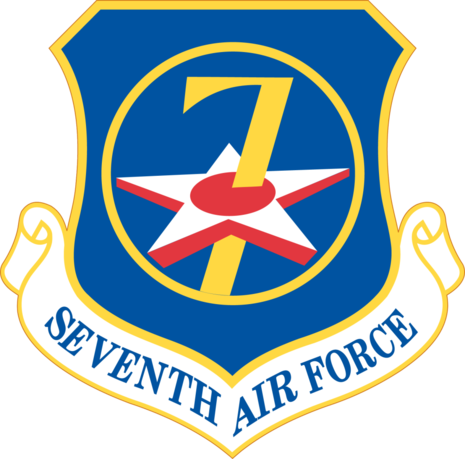 The operation was initiated by the 2nd Air Division on 3 April 1965, continued under the direction of the Seventh Air Force when that headquarters was created on 1 April 1966, and was concluded on 11 November 1968 with the initiation of Operation Commando Hunt. The purpose of Steel Tiger was to impede the flow of men and materiel on the enemy logistical routes collectively known as the Ho Chi Minh Trail (the Truong Son Strategic Supply Route to the North Vietnamese). Bombing of the trail system had begun on 14 December 1964 with the advent of Operation Barrel Roll. Due to increasing U.S. intelligence of the build-up of regimental-size PAVN units operating in South Vietnam, the increased American military presence in that country, and the initiation of Operation Rolling Thunder, the systematic bombing of the DRV, American planners in Washington and Saigon decided that the bombing in southeastern Laos should be stepped up. It was estimated by U.S. intelligence analysts that, during 1965, 4,500 PAVN troops were infiltrated through Laos along with 300 tons of materiel each month. From April through June 1966, the U.S. launched 400 B-52 Stratofortress anti-infiltration sorties against the trail system. 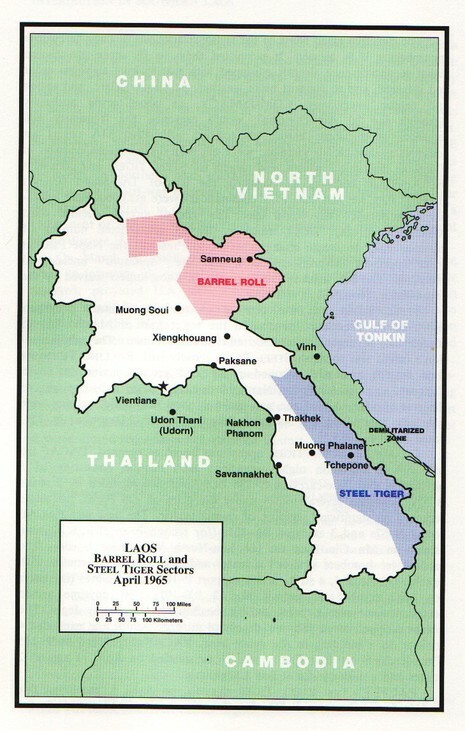 By the end of 1967 and the absorption of Steel Tiger operations into Operation Commando Hunt, 103,148 tactical air sorties had been flown in Laos. These strikes were supplemented by 1,718 B-52 Arc Light strikes. During the same time frame, 132 U.S. aircraft or helicopters had been shot down over Laos. The United States began Operation Steel Tiger over the Panhandle and the DMZ on April 3, 1965, to locate and destroy enemy forces and materiel being moved southward at night into South Vietnam. However, since circumstances made it a highly complex matter in regard to the neutrality of Laos, target approval had to come from Washington. Additionally, the U.S. ambassadors in South Vietnam, Laos and Thailand were involved in controlling these U.S. air operations. 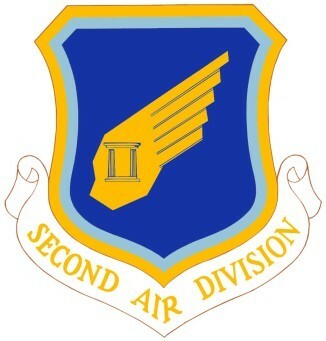 The operation was initiated by the 2d Air Division on 3 April 1965, continued under the direction of the Seventh Air Force when that headquarters was created on 1 April 1966, and was concluded on 11 November 1968 with the initiation of Operation Commando Hunt. The purpose of Steel Tiger was to impede the flow of men and materiel on the enemy logistical routes collectively known as the Ho Chi Minh Trail (the Truong Son Strategic Supply Route to the North Vietnamese).